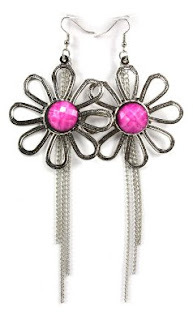 Amazon has these Dangle Metal Flower Earrings (Pink) for $0.01 plus $5.95 shipping. They are originally priced at $19.99. That's 100% savings (excluding shipping). Even with shipping this is a fabulous deal! Plus these earrings are adorable and would make a great finishing taste to any outfit.